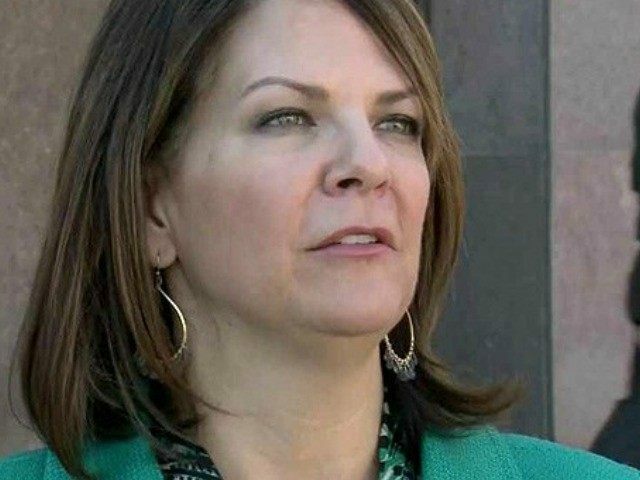 Arizona state Senator Kelli Ward raised $525,000 in the first quarter in her pursuit to oust five-term U.S. Senator John McCain (R-AZ). Ward’s campaign still had $320,000 of that total in the bank as the September 30 third quarter reporting period ended, according to the candidate’s campaign. I am working very hard to show that I am serious about this campaign and my fundraising numbers prove just that. As the only viable opponent to Senator McCain, I plan to continue raising money and building out my statewide grassroots team over the coming months. If people want to send a new, bold, fresh, fearless leader to D.C., then they should join me at KelliWard.com. Neither Ward nor McCain has yet released official FEC reports according to the Arizona Republic. The newspaper predicts McCain’s campaign will report at least $1 million in funds raised in the third quarter reporting period. Breitbart News reported when Ward announced her exploratory committee and again as the official campaign launched in July. McCain put out fundraising emails earlier this year expressing concern over his vulnerability to a primary challenger. McCain, who faced 2010 challenger J.D. Hayworth, began his 2016 campaign with a diminished war chest. In comparison, freshman Senator Joni Ernst garnered just over $250,000 in her first quarter October 2013 quarterly campaign fundraising report as did Senator Marco Rubio in the April 2009 quarterly. Senator Mike Lee raised just over $140,000 in his first quarter, the April 2010 quarterly, Senator Chris McDaniel procured $487,000 in 2013, and now Senator Tom Cotton $343,000 in his 2012 bid for Congress. Senator Ted Cruz, now pursuing a run at the Presidency, raised more than Ward with over $900,000 in the first quarter of his 2012 campaign for Senatorial. Conservative groups quickly responded to McCain’s April announcement that he would seek yet another term in the Senate. Breitbart News reported at the time, “conservative groups began detailing McCain’s record, giving him a failing grade and rallying grassroots and financial support for a potential McCain challenger. Conservative Republican Club of Kingman President Larry Schiff previously estimated that it would take $10 million to overcome the McCain machine. The Republic noted that McCain’s campaign declined to respond to comments made about the incumbent by his challenger. Alex Meluskey and Clair Van Steenwyk are also seeking the GOP nomination for McCain’s Senate seat. U.S. Representative Ann Kirkpatrick is leading in the race for the Democratic Party nomination. An August Gravis marketing poll put Ward ahead of McCain with 45 per cent of the support of Arizonans polled while McCain only garnered 36 per cent.